If there is one thing which all mankind can agree upon, irrespective of belief, faith or philosophical bent, it is the finality and inescapable nature of death. What happens after death, however, is a matter of great debate. In this article, we initially explore the philosophy of life and death in Islam and go on to discuss the concept of ziyārat in general and the ziyārat of Imam Husain AS in particular. The Arabic term ziyārat denotes the practice of visiting or calling on someone; derived from this is the added connotation of visiting a grave in order to pay respects while requesting the intercession of the deceased. This specific connotation of ziyārat is what we intend to discuss. What this verse does is to effectively overturn all conventional understandings of life and death, establishing the diametrically opposed phenomenon of what we believe to be death as life itself. In a similar vein, illustrating how Fatimi philosophy tends to go beyond the conventional and habitual, Syedna al-Muʾayyad al-Shirazi RA a prominent dāʿī, prolific writer, philosopher and master orator during the reign of al-Imam al-Mustansir AS, in his canonical work al-Majālis al-Mūʾayyadiya, completely overturns our conceptions of life and death stating: ‘That which you deem to be death is in essence life and what you call life is effectively death.’ He speaks of two kinds of life. On the one hand, the natural life we live on earth, defined by transience, punctuated by wants, woes and illness and eventually culminating in death. And on the other hand, eternal life, bereft of worldly inadequacies, perpetual and everlasting in nature. The argument is simple: the life which ends in death is more deserving of the epithet of death, whereas the life which is perpetual and everlasting rightfully warrants the title of life. Thus when we speak of remembrance, inspired, fortified and perpetuated by the practice of ziyārat as an instrument of immortality, there is scarcely any remembrance more prominent within the Dawoodi Bohra faith and more instrumental to the realisation of true and eternal life than the remembrance of Imam Husain AS. The narrative of the old woman (ʿajūza) has become synonymous with the ziyārat of Imam Husain AS. 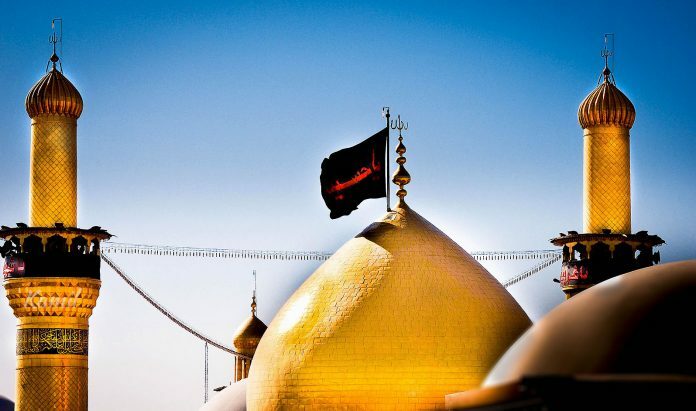 She spent a lifetime labouring away just so she could gather the 500 ūqīyya (a unit of weight used to measure gold currency) to pay off the toll imposed upon all those who wished to undertake the ziyārat of Imam Husain AS by the Abbasid caliph, as a means of deterring the faithful from coming. It demonstrates how her undying thirst for ziyārat resulted in her attaining immortality by virtue of remembrance, for even today she is remembered each time the ziyārat of Husain AS is evoked. In order to ease and facilitate the ziyārat of Imam Husain AS, the 48th Dāʿī Syedna ʿAbdulhusain Husamuddin RA established Faize Husaini. Documents attest to its existence from as early as the year 1897. Initially, its function was to facilitate the ziyārat pilgrimage to Najaf and Karbala for community members travelling from India and Pakistan. With time Faize Husaini took up the cause of facilitating all other ziyārat pilgrimages including Mecca, Medina, Cairo and Yemen among others. It is today an international institute with over 11 major offices worldwide, catering to the needs of community members wherever they reside and dedicated to making sure that those intending to embark upon the noble cause of ziyārat are well furnished on their journey and well looked after. Syedna Mohammed Burhanuddin RA the 52nd dāʿī, went on to establish the Sīgat al-Najaf wa al-Karbala, an umbrella department which oversees the functioning of Faize Husaini offices worldwide. Both institutes today function under the patronage of His Holiness Syedna Mufaddal Saifuddin TUS whose era has seen an unprecedented surge in the number of community members travelling to Karbala for the ziyārat of Imam Husain AS. For the Dawoodi Bohra community as well as millions of Shias across the world, the ziyārat of Husain AS is a profound calling which emanates from deep within, like the life-sustaining beating of a heart. And when that beating heart stops forever, signifying the onset of true and eternal life, each individual yearns to spend it in the blessed gaze of Husain AS.